BSP president Mayawati's remarks holding the previous UPA government and the BJP equally responsible for the steep hike in fuel prices. Lucknow: BSP president Mayawati's remarks holding the previous UPA government and the BJP equally responsible for the steep hike in fuel prices has ruffled many a feather in the Congress rank and file whose leaders feel it will once again raise a question mark on attempts at striking Opposition unity ahead of the 2019 Lok Sabha polls. The BSP chief's views on fuel price hike came a day after her party stayed away from the "Bharat bandh" call given by the Congress on the issue. "These remarks, at a time when the need for unity among Opposition parties is being felt clearly among all partners, could send a wrong signal both to the public and the ruling party which is already doubting our strength," a Congress insider said Thursday requesting anonymity. "Party workers are not happy with the BSP president's observations and they are very sceptical about her intentions," he said, adding the Central party leadership surely needs to take note of it. A senior Congress leader said her views on the topic needs to be viewed as her bargaining tactics for more seats in the Assembly polls in Rajasthan, Madhya Pradesh and Chhattisgarh. "By doing so, she is sort of trying to gain upper hand in negotiations for the Assembly seats in these states...it is, however, for the Central leadership to understand that we should weigh our options and potential before entering into any alliance," he stressed. "Although the foundation of the intricacies of the alliance for the Lok Sabha polls will be set much before in the Assembly polls in these states, the party needs to be clear that its negotiations on seat sharing should not be at the cost of the party and its workers as Congress is the stronger party in these states," he said. Speaking on the fuel price hike, Mayawati has stated both the NDA and the UPA had disregarded the interest of the farmers and the poor. The previous United Progressive Alliance (UPA) regime had brought fuel out of government control and the ruling National Democratic Alliance (NDA) continued with the policy, she had said, adding that after coming to power in 2014, the NDA had deregulated diesel, which had hurt the interest of the poor. 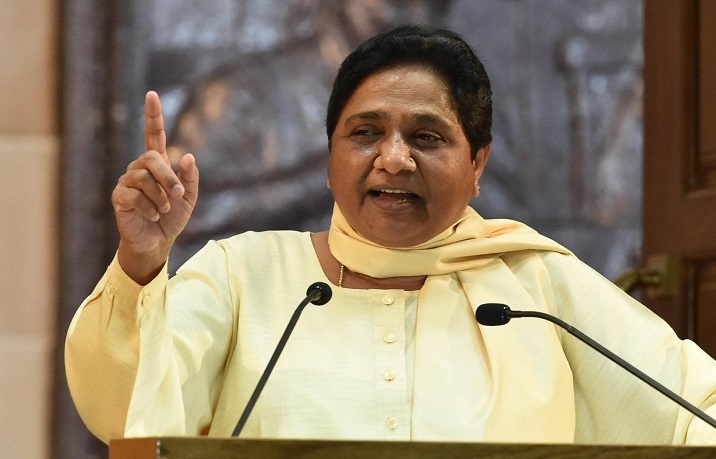 Mayawati's statement is largely being viewed in the political circles as a dent in opposition unity against the BJP ahead of the 2019 Lok Sabha polls.